Theresa May replied - "We have given a great deal of thought to the way in which our measures will operate. The changes that we propose will strengthen our ability to deal with those who are here illegally. We are, for example, strengthening our ability to enforce penalties for those who employ illegal workers. The system enabling employers to determine whether the workers whom they employ are here legally or not is in place, is well known and is running properly, and the same will apply in the other areas that we are discussing ..."
The key point of Abbott's question was "appearance." A person absolutely entitled to be in the UK could appear to be an illegal immigrant and, crucially, may lack the means (e.g. documents) to prove otherwise. The Bill under discussion in January 2014 became the Immigration Act 2014. Part 3 of the Act is entitled "Access to Services" and contains powers to regulate migrants' access to important services such as residential tenancies. 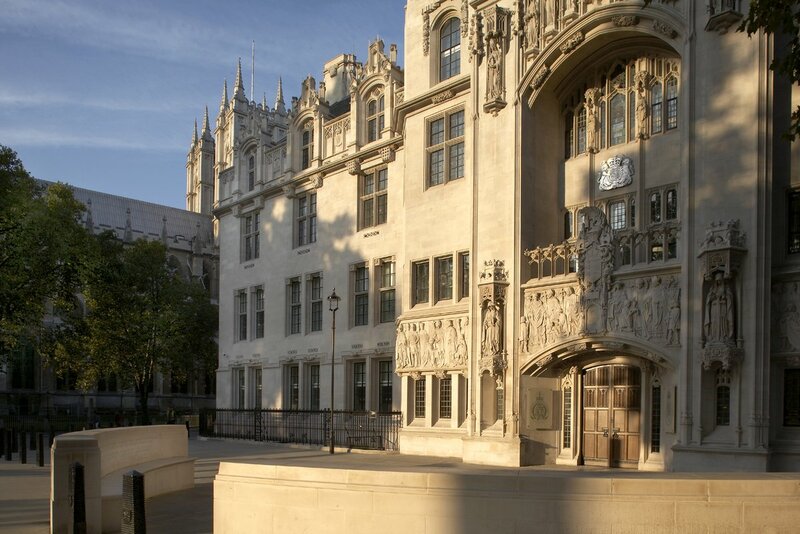 Thus, landlords were made subject to penalty notices (up to £3000) if they rent out premises to migrants who are not lawfully resident in the UK and, under a later addition to the 2014 Act, they may commit an offence carrying up to 5 years imprisonment following conviction in the Crown Court. The Immigration Act 2016 developed the law further and the explanatory notes state - "The purpose of the Act is to tackle illegal immigration by making it harder to live and work illegally in the United Kingdom. The intention behind the Act is that without access to work, illegal migrants will depart voluntarily, but where they do not, the Act contains other measures to support enforced removals." All of this law is convoluted, complex and tedious to read. But, it is of crucial importance to the individual. Theresa May's tenure as Home Secretary was remarkable for her relentless obesession with controlling immigration - reduce it to the tens of thousands - and for creating a "hostile environment" for those in the UK illegally. A "surveillance society" has been encouraged to develop as a result with the result that " ... some of society's most vulnerable people are so afraid of being turned over to the Home Office that they feel unable to access healthcare, find safe accommodation or seek justice for crimes committed against them." "Things changed after the Barbados high commissioner, Guy Hewitt, revealed that Downing Street had rejected a formal request from 12 Caribbean heads of government to discuss the problem with May at the Commonwealth heads of government meeting, which opened in London on Monday. On Sunday, Hewitt said it was “regrettable”. Within 24 hours, Labour’s David Lammy had gathered 140 MPs from all parties to sign a letter calling on the prime minister to act, and Rudd apologised in the Commons and set up a dedicated Windrush hotline. This did little to stem the spiralling crisis. 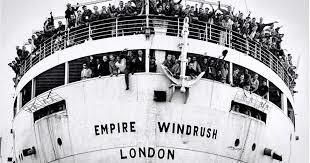 The Guardian’s revelation on Tuesday that thousands of Windrush-era landing slips were destroyed in October 2010 caused fresh embarrassment for the government. An ex-Home Office whistleblower said employees in his department told their managers that it was a bad idea to destroy the documents, because they were often the last remaining record that could be checked, in the event of uncertainty over an individual’s arrival date in the UK. The cards could offer crucial evidence of a pre-1973 arrival, which holds the key to securing a British passport." On 16th April there was an "Urgent question in the House of Commons" on the part of Mr David Lammy MP (Labour) who said that it was "inhumane and cruel" for people to have suffered in this way. The Home Secretary (Amber Rudd MP) said that she had now set up a team to help people evidence their right to be in the UK and no payment would be required for this service. A warning to the government came when Diane Abbott asked her question over four years ago and it is shameful that it took a breaking scandal to force the Home Office into some action to help the Windrush generation. It appears that some form of compensation scheme is under consideration by the government (BBC News 21st April). Read about Trevor and Desmond Johnson. Read about other victims who have lost jobs, homes and loved ones such as Dexter Bristol who moved from Grenada to the UK in 1968, aged eight, to join his mother who was working as an NHS nurse, and he spent the rest of his life in the UK. He was sacked from his cleaning job last year because he had no passport, was denied benefits and became depressed. Bristol died while still trying to prove he was in the country legally. The Guardian 22nd April - Government aware for years that "hostile environment" hurt the Windrush generation. Amber Rudd - the Home Secretary - resigned and was replaced by Sajid Javid MP. On 25th April, the Home Affairs Committee conducted a session on the Windrush issue. The whole session may be viewed HERE. Evidence of witnesses showed that removal targets existed and had been applied on a Regional basis. When the Committee Chair (Yvette Cooper MP) asked about the existence of targets, Mrs Rudd replied "We don't have targets for removal." This part of the evidence commences around 1650 hours. The Prime Minister - Theresa May - who steered the Immigrsation Act 2014 through Parliament - sought to distance herself from the Windrush row - The Guardian 30th April - "The prime minister tried to draw a line under the affair by arguing that Rudd had only resigned over a single error, while separating the issue from the wider scandal over the Windrush generation. She again declined to place the blame for the debacle, which has caught up thousands of people and is widely regarded as a result of her own “hostile environment” strategy, on individual ministers or civil servants at her former department." The Guardian has published a timeline of events.